Senior Citizens Get Techy With IT!! Participants and Panthers United Members pose for a picture! The Waller County Citizens Assistance Coalition (WCCAC) has been conducting computer basics classes at the Waller County Public Library in Hempstead, TX. Participants are a diverse group of residents and have been in attendance at the weekly sessions. These participants have computer experiences ranging from no experience to moderately knowledgeable and owning laptops, tablets and other electronic devices. Computer Basics sessions have been held weekly from March 20th and will continue until the end of April. As a part of the ‘Senior Tech Initiative’, Panthers United collaborated with WCCAC to assist with providing this much needed senior service. Panthers United is a Prairie View A&M University (PVAMU) recognized student organization that is supported by the College of Agriculture and Human Sciences. 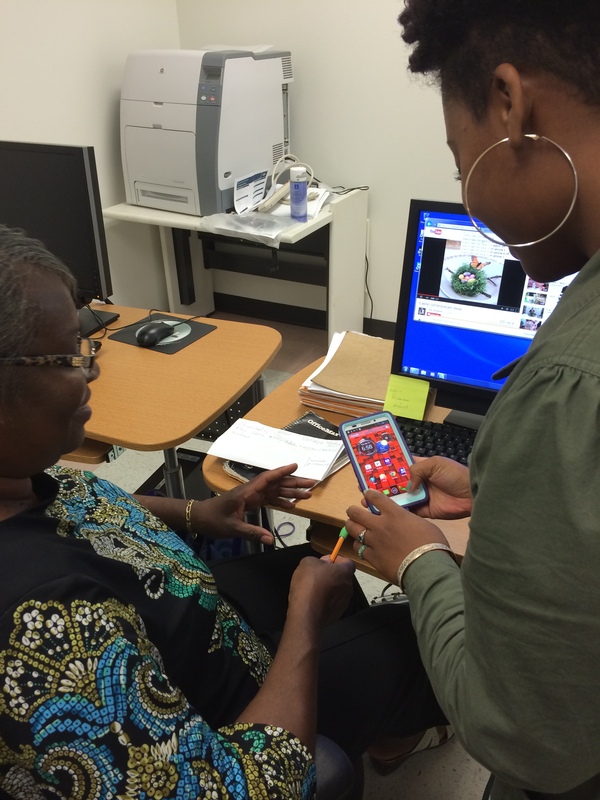 Panthers United created the ‘Senior Tech Initiative’ as an opportunity for students to bridge generational gaps while supporting Senior Citizens and mature adults in their journey to understand how to conquer the stress of using basic technology. Students help participant understand how to use Microsoft Word. 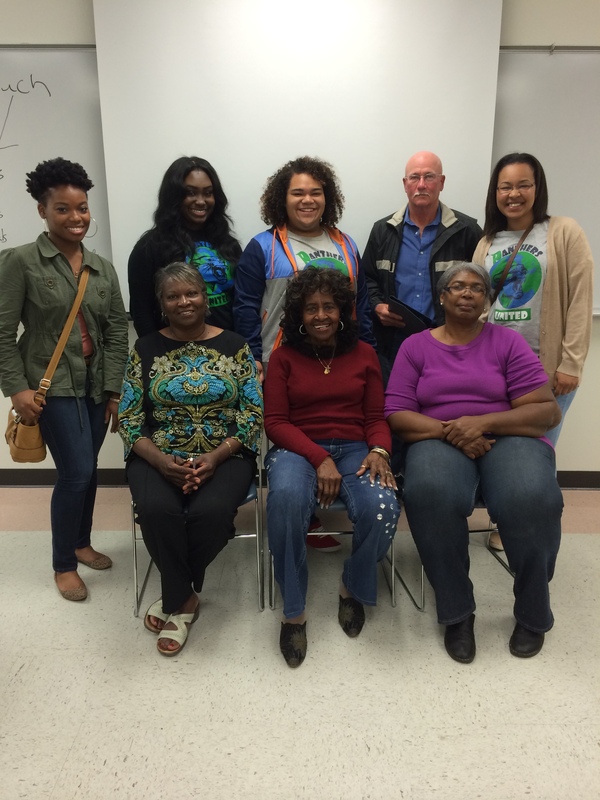 The first ‘Senior Tech’ event was held on April 15, 2014, in the Carden Waller Extension Building at PVAMU. 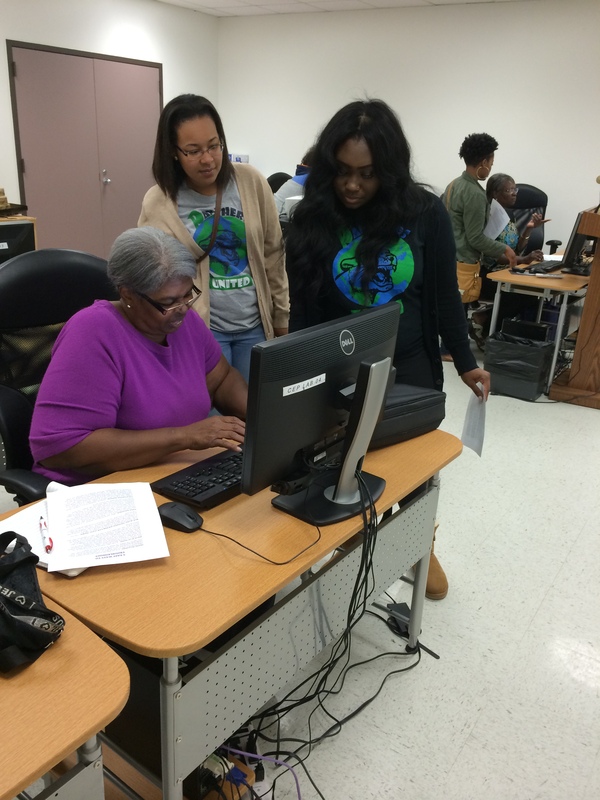 The Senior Tech Subcommittee volunteers provided one on one support to each of the participants in attendance at the Waller County Library as well as at the PVAMU session location. Some of the issues that challenged the seniors were: sharing photos between smart phones, understanding how to organize Apps on the Kindle Fire, exploring the benefits of Groupon App, setting up a Google email account, and connecting email accounts to their smart phones devices, as well as learning a few basic skills related to operating the Microsoft Word office tool. Panthers United member assists participant with smart phone. Ms. Danielle Hairston Green, Extension Specialist (FCS) at PVAMU is providing the leadership & service learning projects for the students. If you or someone you know is interested in attending please contact the Waller County Library at (979)732-6281 or Panthers United Senior Tech Initiative at (936)261-5118 or register at seniortech.eventbrite.com. Please bring your laptop or tablet computer to the session, if you have one, although this is not a requirement. This entry was posted on Wednesday, April 23rd, 2014 at 8:13 pm and is filed under Community and Economic Development, Cooperative Extension Program, Uncategorized. You can follow any responses to this entry through the RSS 2.0 feed. You can leave a response, or trackback from your own site.